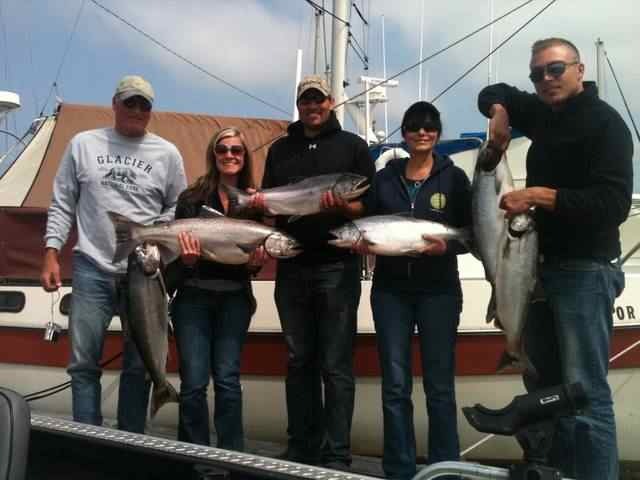 It's time to go fishing for Chinook and Coho Salmon in the Columbia River at Astoria, the legendary Buoy 10 Fishery! There's lots of action (see the photo above) and beautiful scenery....don't forget to bring your camera! The season starts August 1st. We generally fish in the Astoria area until after Labor day then we come back to the Portland area where we fish for the Salmon through September and early October, then I go to Tillamook Bay and fish there through November. If getting outdoors and catching Chinook and Coho Salmon sounds like fun please feel free to contact me. I look forward to hearing from you and taking you fishing. Please visit my website at www.fishingoregon.net for more information or just give me a call 503-704-5111.